Marketing is marketing, right? Any sort of promotion is a form of marketing. It might sound simple, but, marketing gets more complicated fairly quickly. And with advances in technology taking place on a such a rapid basis, the ins-and-outs of marketing continue to evolve just as quickly. So, what is the next big thing in marketing? According to many marketing experts, the next big thing is visual content. In fact, this type of marketing is becoming the norm, with videos and infographics providing a wide range of benefits to those who are taking advantage of them. Let’s take a closer look at visual content and the benefits it can bring to your marketing agenda. There are more than 1.5 billion pieces of content floating around the world. More than two million videos are uploaded on a daily basis. That’s a lot of content. With so many pieces of content available for consumers to digest, it is of the utmost importance that marketers clearly define their targeted audiences as this will help ensure the right people are viewing the content being marketed to them. Why is visual content more effective than textual-only content? At any given time, the human brain can process information only so fast. Different types of content take different amounts of time to make. The fastest to process and produce is visual content. In fact, visual content can be processed at a rate of 60,000 times faster than content that is textual-only. And when textual-only content is provided with visual content, the brain will choose to process the latter first because it can decode it quicker. Is it really worth sharing visual content? Yes, spending money and time on creating visual content is definitely going to be worth your investment. Statistics show that posts with visual elements receive up to 94 percent more views than those that don’t incorporate visuals. Even when it comes to press releases, these types of postings will acquire up to 14 percent more views if they have photos included within them. And for postings with both photos and videos, this can increase views by another 48 percent. Once you decide to integrate visual into your marketing agenda, it is imperative that you take advantage of different forms, including infographics, videos, photos, memes, and more. As you are creating it, you want to focus on developing visuals that not only attract the attention of viewers but also on getting the viewers to share them. And to help ensure viewers can see the original source of the content, make sure you always include your company name and logo. 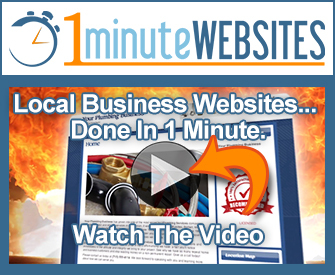 Make all your visuals clickable. Inbound links will automatically be created to the content you are sharing. Attracting inbound links is key to boosting your SEO efforts and increasing your brand awareness. No matter the angle you look at marketing from, visual content is proving itself to be the next big thing. As you go about creating your upcoming marketing agenda, make sure you include visuals. What is the best SEO for 2018?